A closely spaced jet array penetrating into a counterflow is investigated numerically to identify the location of the stagnation points and the conditions in their vicinity. Of special interest is the spatial homogeneity of the concentration field immediately upstream of the stagnation points for the species being supplied through the jet array. This configuration is used to produce the boundary conditions required in a research burner in order to create unstretched one-dimensional diffusion flames. The aim of the work presented here is to identify the parameter space conducive to the creation of such flames. 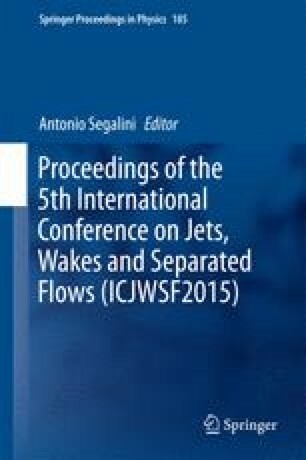 The ratio of jet velocity to that of the bulk flow is the main control parameter and is investigated in cold-flow simulations. The results are compared with a limited set of experimental measurements available for this configuration.